Missing teeth no longer have to plague your smile. At Drs. Viglielmo: Biological Dentistry, our skilled Kingston, NY biological dentists utilize dental bridges to fill gaps with permanent, beautiful replacement teeth. A dental bridge is a restorative-prosthetic dentistry treatment. Dental bridges prevent teeth shifting that can lead to cavities, periodontal problems and to bite problems (occlusion) and/or jaw problems (TMJ). Dental bridges can safeguard the position of the existing teeth and solve the problem of missing teeth. For dental bridgework which replaces a single tooth, at least three Dental crowns are usually required. Two of the crowns involved in the bridging process will be placed over sound teeth on either side of the missing tooth gap. These adjacent teeth are referred to as “abutment teeth”. The crowned abutment teeth support a third crown placed between them. That third crown is referred to as a “pontic”. 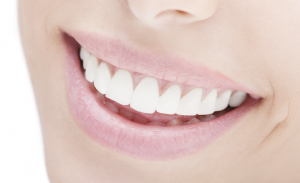 If more than one tooth is missing, more crowns will be required to bridge the gap between the abutment teeth. For example, if you have three missing teeth then four abutment teeth may be necessary to create a seven-tooth bridge. There are other, conservative techniques to replace missing teeth including resin-bonded bridges (Maryland Bridges) which preserve tooth structure on the abutment teeth. Dental crowns and dental bridges need the same care as your natural teeth. Be sure to brush and use your Waterpick® around them every day to lessen bacterial build up, which can help to preserve your investment. If you tend to grind your teeth at night, then consider wearing a nightguard to lessen the unconscious forces placed on your dentition while you sleep. Furthermore, be sure to maintain regularly scheduled cleanings with your trusted Kingston, NY biological dentists. A dental bridge can replace missing teeth while safeguarding the remaining, existing teeth. It is a great restorative dentistry treatment that can improve oral health and bring both beauty and vibrancy to your smile. Contact our Kingston, NY biological dentistry practice to speak with one of our team members and learn how you can benefit from this treatment or one of our other cosmetic dentistry and general dentistry services.